After the sumptuous dinner at Lugang Cafe (click here if you blinked), it was time for dessert. We headed to Swensen's for some ice cream. As we enter, we were greeted by smiling staff. We were handed the menu, and our eyes went big on the many variety of ice cream! It was sinfully delicious. Tastes heaven! Extra: These glasses are cute! And yes, these are up for grabs. Every scoop of the ice cream draws me back to my childhood days when I eagerly await for 'mamang sorbetero' to pass by our street. Nostalgia. 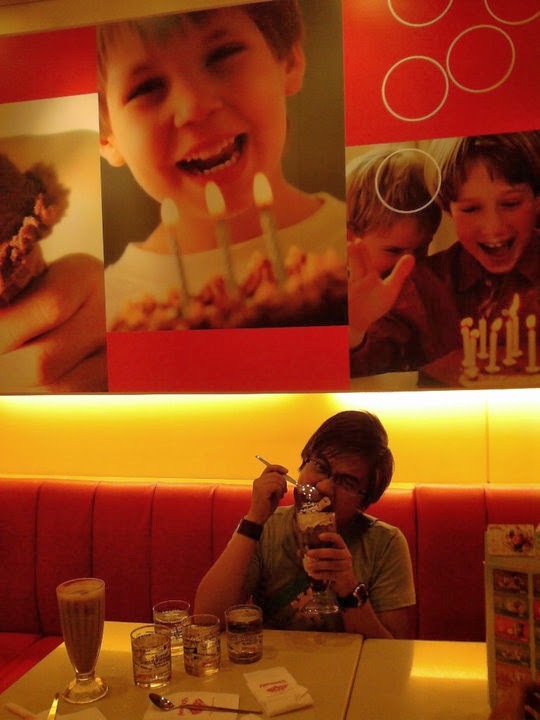 Trivia: My first taste of Swensen's was in Bangkok, back in 2010. 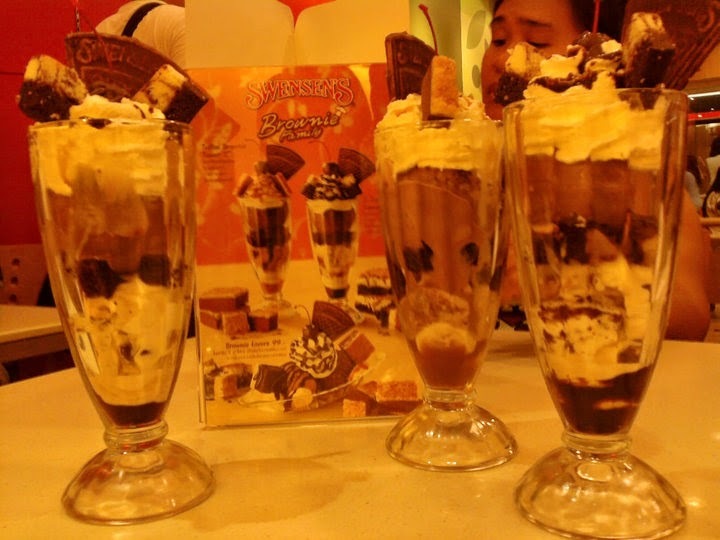 Parang winner 2...i should try this icream parlor..pak! thank you for sharing!